Boney Mountain is one of the latest engineered hardwood flooring designs in Naturally Aged Flooring's Medallion Collection, featuring hand-scraped oak with a peaceful, sun-bleached wash. Offering the rustic look and feel of natural wood kissed by time, Boney Mountain presents a restful ambiance while retaining a hint of fresh wood with warm undertones. White oak’s distinctive grain pattern and welcoming glow brings the great outdoors inside. Boney Mountain captures the mood of a fresh mountain hike, or early morning walk on the lake, and it will retain its natural elegance for years to come. With Boney Mountain’s charm, Naturally Aged Flooring, a leader in the industry of engineered wood flooring, brings a little bit of country to every room. 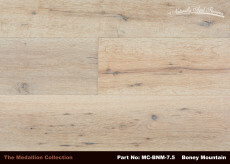 Boney Mountain is comprised of 7-1/2" wide oak planks at 2' - 6' lengths allowing for an array of design options. The wider planks of Boney Mountain convey an impression of strength balanced beneath a soft stain wash, highlighting the natural grain of the oak. 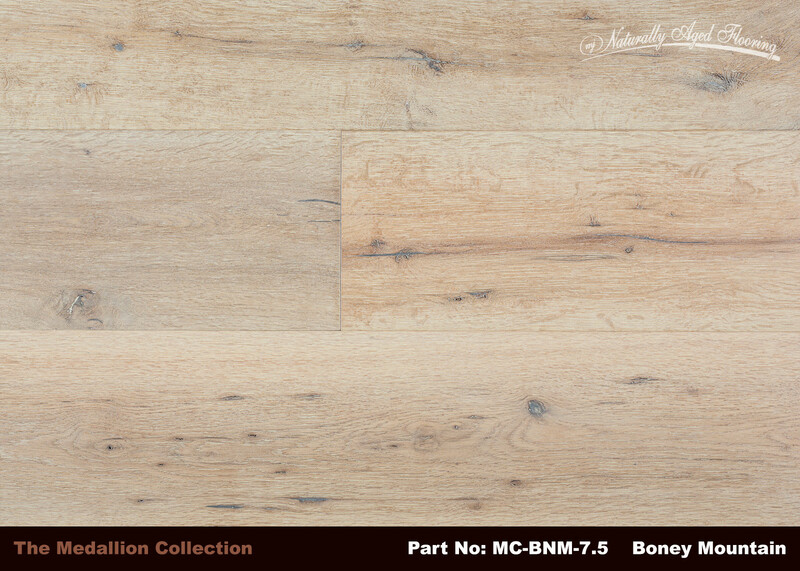 Boney Mountain is an extremely versatile floor in any light setting, capturing and reflecting the mood of most any decor. Each board is hand-scraped and wire-brushed then completed with a low sheen UV lacquer finish to embody a soft mix of rugged warmth amidst a fusion of natural beauty. Whether for a mountain cabin, man cave or she shed, Boney Mountain provides a perfect setting to get away from the rat-race, to reflect in quiet solitude or celebrate new adventures with friends. In a professional setting, Boney Mountain floors can be used to inspire creativity and quietly assure your customer’s they’ve come to the right place because although a little bit country Boney Mountain also conveys a lot of class. 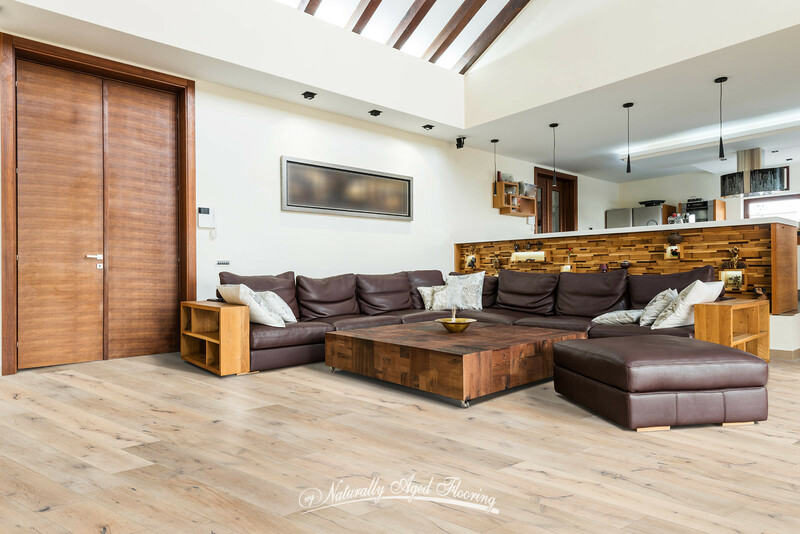 As you can see by the pictures, Naturally Aged Flooring’s Boney Mountain will enrich any design with its gentle beckoning look and feel.